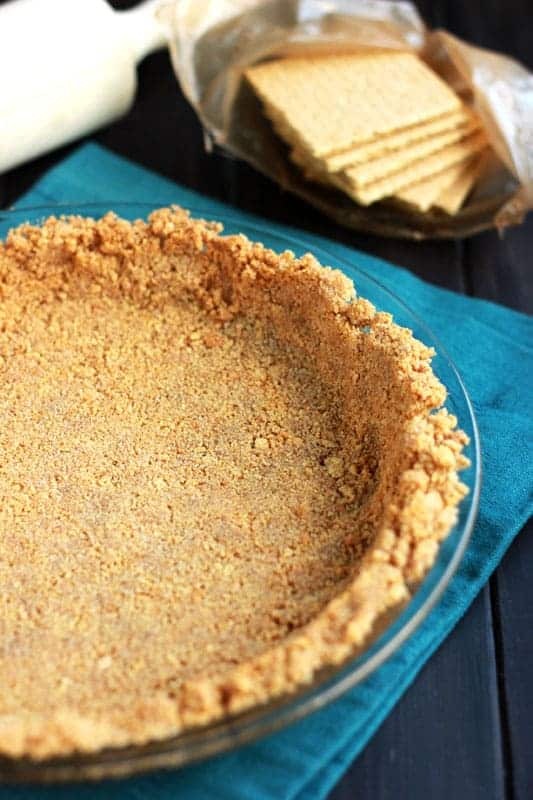 This Graham Cracker Pie Crust is the perfect base for any pie recipe you have got planed. At least once a year they are the star of the show. Building a base for your pie is key to a delicious dessert! You want it to either be butter filled and flaky OR you want it to be like this crust. If you have made my cheesecake the recipe probably sounds familiar. All you need to do is crush the crackers, stir in a little sweet and butter, and smash it into your pan. PRO TIP: I like to use the bottom of a measuring cup to help give it a nice packed and smooth finish. The great thing about this recipe is that you can get pretty creative with spices. We always add a touch of cinnamon but a little ginger, nutmeg, or pumpkin pie spice would add a unique flavor that would compliment any pie. 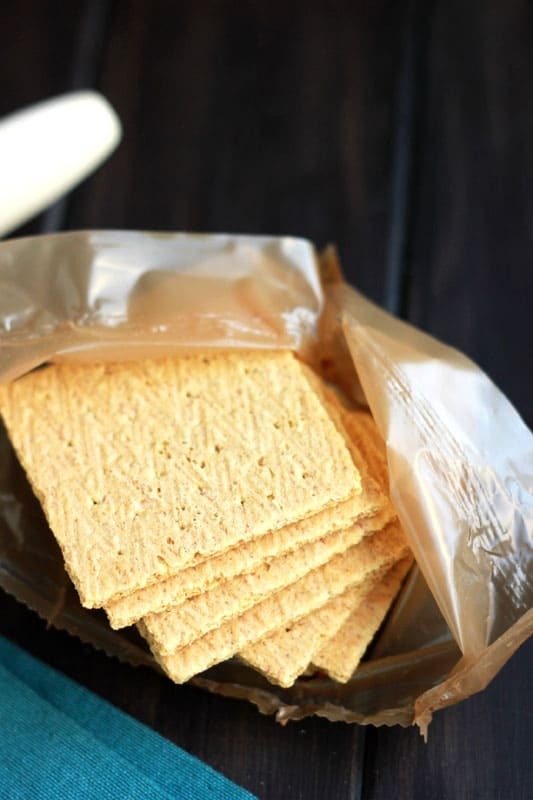 PRO TIP 2: How to crumble those crackers… Use a blender OR place a few into a large Ziploc bag. Smash away with a rolling pin until they are a nice crumbly texture. That step is particularly fun if you have little ones helping in the kitchen. What kind of pies do you have on the menu this year? 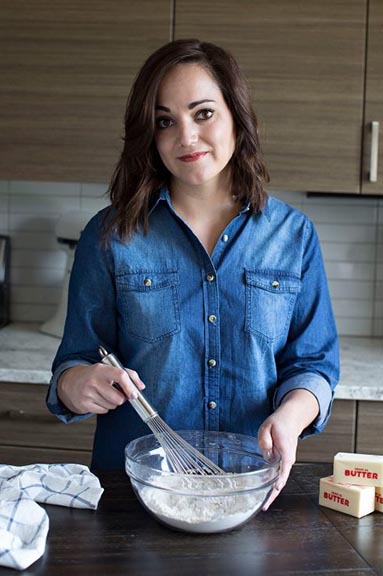 I would love to hear how creative you are getting with those desserts! Leave a comment below. Like this recipe? You will love my Cheesecake Bars, Banana Cream Pie, and Banana Cream Pie Bars! Whisk the graham cracker crumbs, sugar, and cinnamon together in a bowl. Use a fork to cut in the melted butter. 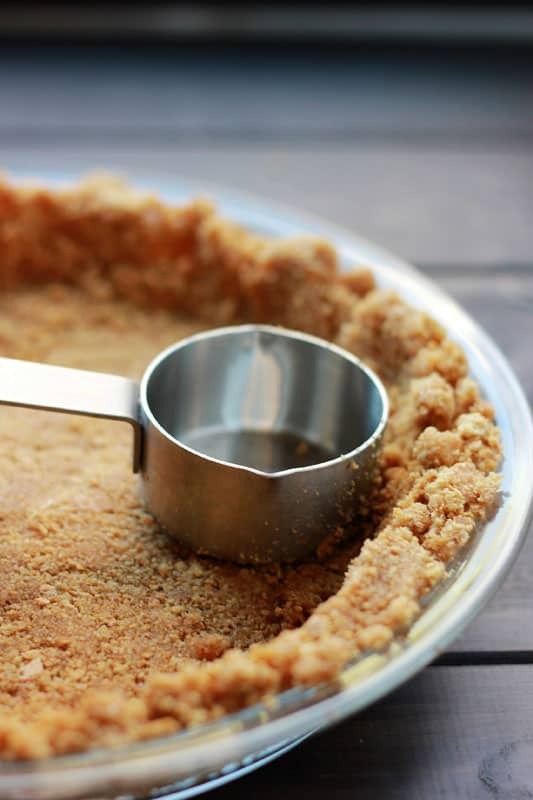 Press into your pie pan using the back of a large spoon or measuring cup. 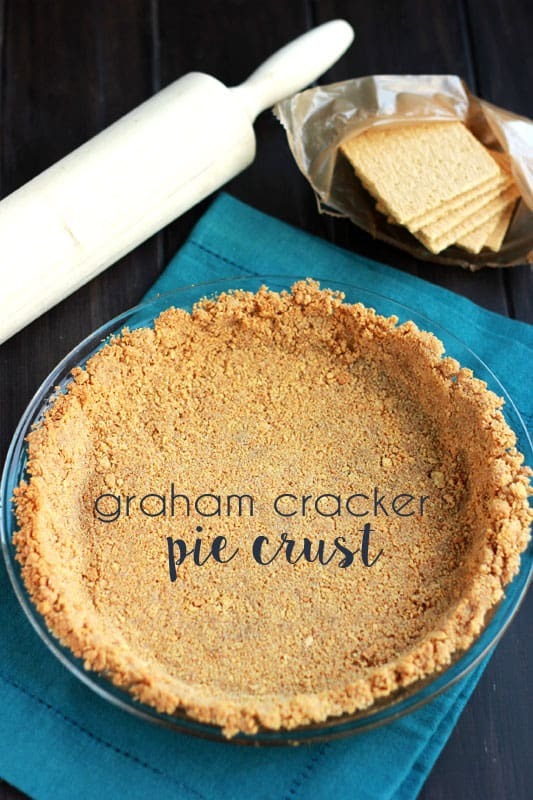 If you pie recipe calls for an unbaked crust you are good to go. If you need a baked crust cook for 5-7 minutes at 375 degrees.